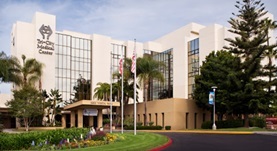 Dr. Sean Pinnell is a radiologist from Vista, California. He has been working in the medical field for 19 years. He graduated in 1998 from the Medical College of Wisconsin School of Medicine. Afterward, he continued with an internship stage at the University of California San Diego followed by a residency at the same medical institution. Dr. Sean Pinnell is a board-certified specialist in diagnostic radiology. He is licensed to practice medicine in several states. He contributed to a published study that focused on carotid arteries and contrast-enhanced US angiography. 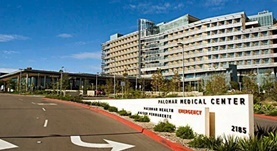 At the moment, Dr. Pinnell is affiliated with the Palomar Medical Center in Escondido and Tri-City Medical Center in Oceanside. Dr. Sean P. Pinnell has contributed to 1 publications. Carotid arteries: contrast-enhanced US angiography--preliminary clinical experience. Kono, Y., Pinnell, S.P., Sirlin, C.B., Sparks, S.R., Georgy, B., Wong, W., Mattrey, R.F. ; Radiology. 2004 Feb.